Cinesoft was in need of a new content delivery network (CDN) that was both competitively priced and backed with responsive customer service. Limelight’s CDN became the primary choice of Cinesoft mainly because of its cost effectiveness. Cinesoft is a fast-emerging innovator in OTT and e-commerce that delivers entertainment products and solutions with a global vision. As one of the foremost companies in the OTT sector in India, the company has developed a unique entertainment platform, a synergy of television, movies, music, books, games and more to the global community. Cinesoft was in need of a new content delivery network (CDN) that was both competitively priced and backed with responsive customer service. 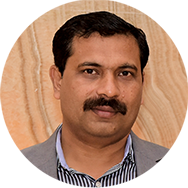 The CDN needed to be able to support its diverse business comprised of B2B and B2C services, which includes Cinehome, a fast-growing OTT service that provides Indian content for a global audience; their Cinehome OTT platform, an OTT Platform as-a-Service; and NEXTGENMEDIA, a user-generated content (UGC) platform. When Cinesoft encounters a new challenge or issue, they know their ASA team will respond quickly, make a recommendation, and find a solution. Cinesoft can now deliver content to a global audience through all three of their business areas, which is vital for the growth of the company. Knowing that its customers demand a broadcast-quality experience, Cinesoft can now provide high performance with low buffering rates. The ability to confidently deliver live broadcasts to thousands of viewers is essential to Cinesoft.